Admit It – You know Agent/Generalists are extremely limited – you need an Expert like Robert Whitfield! East Cobb Homebuyer Mistakes You Really Don’t Want To Repeat! Hire An Expert…it costs no more than settling for a generalist – and can save a ton of money, delays, and headaches – not to mention prevent a lost deal! Real world 2012 examples of what can happen if you try to be “your own Broker” …or simply settle for an agent you know, or that your corporate relo folks refer you to! Trust me, as a real estate insider I can assure you these things (and worse) happen to unsuspecting buyers every day. 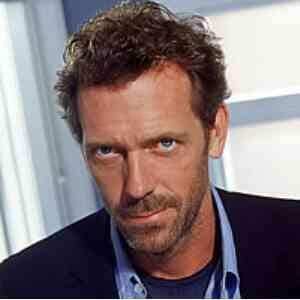 If “Dr. House” were a realtor, I can hear it now: “those buyers were idiots for dealing directly with a builders agent on their own and deserve all the hassles and pain coming their way! 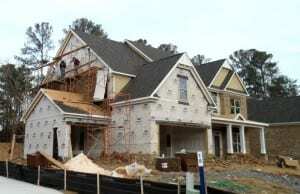 I ran across this homebuyer nightmare on December 28, 2012 while photographing new home developement activity in East Cobb for my various East Cobb website blogs. While out shooting photos in several new home developments in East Cobb, I ran across three workers busting the brick off the exterior of a brand new $500K home with sledgehammers! The site super told me the relocating owner who apparently drove down one weekend and bought the home without an agent, (repeat after me – not a wise decision) and not caring for the builders planned brick color, selected a different color brick. Somehow that little detail got lost in translation between the sales agent in the model home (the builders agent) and the builder, the end result being the entire house (3 sides) was bricked with the wrong color brick! 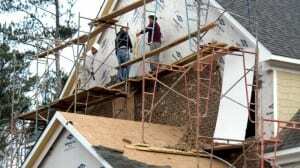 That one mistake cost the builder over $60K and has delayed the owner from moving down to Atlanta by over a month! Ouch! I wonder if the buyers had to put their stuff in storage and move into a month to month apartment? I have no idea if resulting damage will occur (or has already occurred) from the brick demo work as bricks crash down onto the roof decks below (or if any resulting damage will be covered up by the builders contractors) but unfortunately I am not representing that buyer, so they will not be benefiting from any of the unmatched due-diligence services I provide to each buyer client – such as complimentary site visits and new home construction monitoring that I provide to all my clients who are building new homes. Buying a home is hard enough – you want to avoid having to back out of contracts. 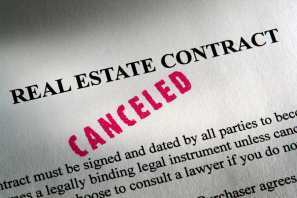 Having to back out of a real estate purchase transaction can be risky, especially with new home builder contracts, and it is frustrating and never any fun, but this one was particularly bad because of the circumstances. This buyer, a new acquaintance of my wifes, already had a buyers agent she had worked with for months and therefore felt “obligated” to continue using that agent, (which is why I wasn’t representing her). What makes this situation so bad is how emotionally invested this buyer had become in this property over an extended period of time. She had been eyeing this particular home for over three months before she felt she had enough research under her belt (a red flag in and of itself) in order to finally conclude it was the best deal available and that she should move forward with an offer. It is surprising this property was still there after over 90 days. This buyer learned I was an ICC Certified Building Inspection Expert (in addition to being a licensed GA Real Estate Broker/Owner) and asked me to do her home inspection. 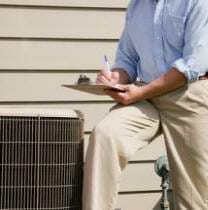 During the home inspection, I discovered a defect (which on the surface most folks would assume had been properly handled) but due to a host of things that did not jive, I advised further analysis by a licensed expert in the field. My hunch proved right as the item was determined not properly taken care of, and in fact posed a health hazard to the occupants. You might ask, what could I have done to improve this situation for the buyer – how could I have affected the outcome in a more positive way – what would I have done that ordinary agents can’t? Grab a chair and your notepad! No, I will cut to the chase and give you just two basics regarding this example. First, it has never taken me anything close to 90+ days to find my client a home they liked enough to make an offer on. Taking that long to slowly sift through the market means one of two things – your agent doesn’t know what they are doing, or your expectations as the buyer are out of alignment with market realities ie, you want a 6000 sq ft, 3 car garage, 4 sided brick, custom-built home with finished basement in East Cobb or Alpharetta’s best school districts for $400K – not going to happen even in this, the best market in history! Regardless of the reason or reasons in this case, it should not have taken 90 plus days to prove to the buyer that this is or isn’t “the one” so the buyer could be comfortable enough to make a timely decision to act – or move on. Robert Whitfield performs free Pre-Purchase Building Evaluations – this means his buyers are much more informed, and they make sound investments. Second, and this is really first – as a Licensed Broker/Owner who is also qualified as a ICC Certified Building Inspection and New Home Construction Expert with over 20 years experience, I provide a complimentary pre-purchase building analysis of every home my buyer clients are interested in, before we even consider an offer – so way back in August, I would have informed the buyer about this problem and they could have moved on months ago. I am not faulting this agent for the defect mind you, because agents are not qualified to look for and analyse technical building defects and structural faults some of which are invisible to the untrained eye. I do fault the agent for the amount of time wasted. I have helped many out-of-state and even foreign buyers who had never been to Atlanta locate their ideal homes in as little as 1 week and the maximum time required in over 12 years has been 6 weeks. 1. If you don’t have an ordinary agent, (very smart) contact me. 2. If you do have an ordinary agent and feel obligated to use them – rethink that – I submit that your first priority should be what is best for you and your family – not some agent who can’t begin to help you like I can – give them $500 if it makes you feel better, release them in writing, and then contact me. I will even reimburse you the $500! * If you never signed a Buyer Brokerage Agreement, you may think you have an agent but legally you don’t – the agent has merely left you exposed to unnecessary risks on multiple levels by not legally representing you! The good thing, all you need to do is say thanks for the “help”…I have decided to hire an expert who will look out for me and would have never allowed me to go unrepresented all this time!